Lenovo’s sub-brand Motorola seems to be on a launching spree as the company has already announced several smartphones in the market this month. 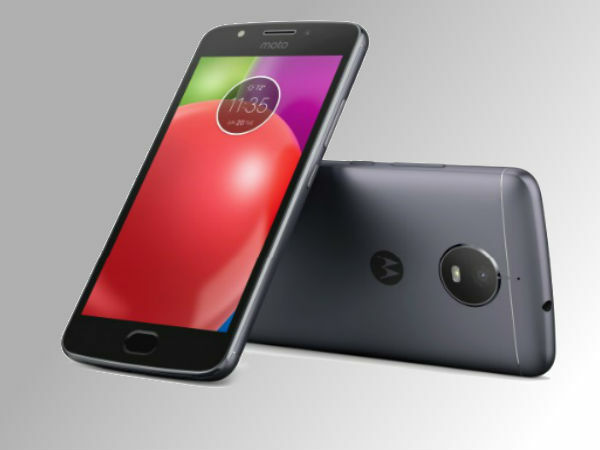 Especially in India, the company has announced Moto C and Moto C Plus in India for Rs 5,999 and Rs 6,999 respectively. However, after the Moto C Plus, Motorola has now started to tease the launch of another smartphone in the country. The teaser has been posted on Moto India’s official Twitter account and basically hints that the company is solving the problem of battery life with the upcoming smartphone. The company’s Twitter post reads, “A dead phone is the modern-day shortest horror story. We will ensure you don’t feel #Powerless again. What’s coming next? #StayTuned.” The company has also put up a photo for showing a dead battery with tagline Oops! n any case, the tweet and the teaser does not reveal which smartphone is actually being launched. Considering the battery aspect, we are assuming that company is probably going to launch the Moto E4 Plus in the country soon. The Moto E4 and Moto E4 Plus have both been launched globally last week. So the company might be bringing the same to India. The teaser though is hinting more at Moto E4 Plus. And if you go by the specs that were revealed during the launch, Moto E4 Plus does come with a massive 5000mAh battery. However, Motorola could also launch the Moto E4 model but since the company is touting the battery aspect this model could be launched later. While this might be good news for the fans, let us look at some of the features and specifications of the smartphone. The Moto E4 Plus comes with a 5.5-inch HD (720×1280 pixels) display. The smartphone is powered by a MediaTek MTK6737M chipset which will be coupled with 2GB/3GB RAM. Moto E4 Plus will also come in two storage16GB/32GB storage variant as well. On the camera front, the device sports a 13-megapixel rear camera with LED flash, aperture f/2.0 and 5-megapixel front-facing camera with LED flash, f/2.2 aperture. Moto E4 Plus is backed by a 5000mAh non-removable battery and it supports fast charging as well. The device measure at 155×77.5×9.55mm and the smartphone weighs 181 grams.